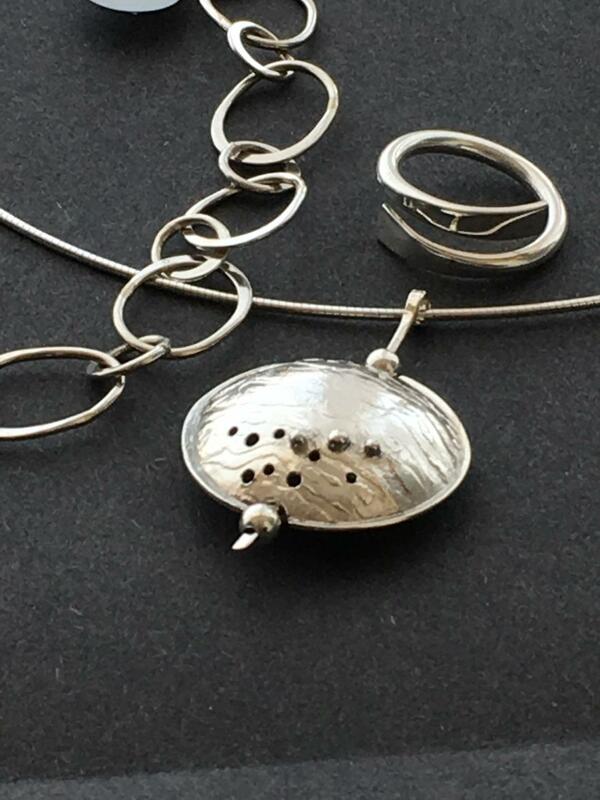 Contemporary silver jewellery celebrating the shapes, forms and textures found in coastal environments. Bangles, necklaces, earrings and rings using silversmithing techniques with roller printed and hammered textures. Easy parking. Information on courses at Artworks.